It’s just a matter of weeks until Captain Jack Sparrow and the rest of his pirate crew head back to the Caribbean seas (and the big screen) for some swashbuckling adventures! On May 26th, the fifth installment of Pirates of the Caribbean is coming to theaters. 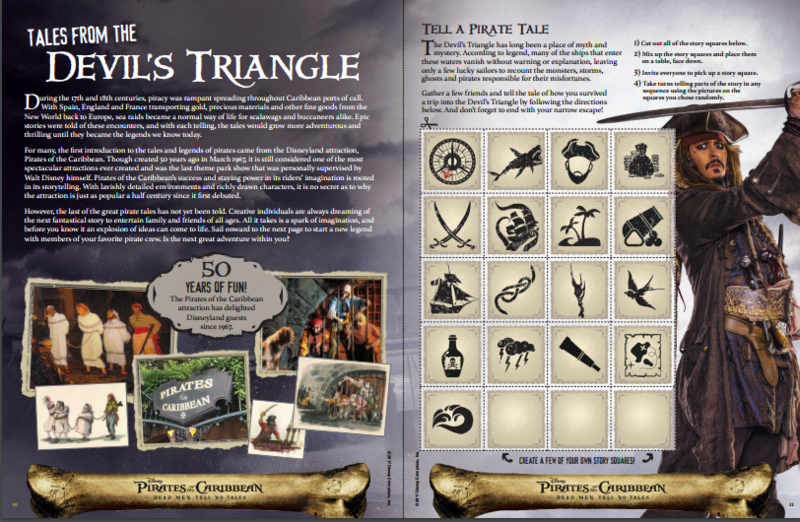 To help kick off the adventures, you can download and print Disney’s free Pirates of the Caribbean: Dead Men Tell No Tales activity book! In this book, you can create a spyglass, chart stars, and solve lots of pirate-themed puzzles and mazes. Dream Destinations at Gallery Nucleus – The Latest Disney Art Exhibit!